Walking holidays in Green Spain’s “Picos de Europa” National Park. 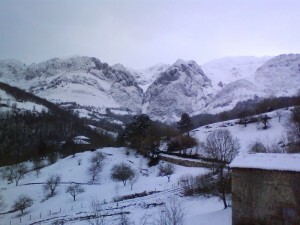 Self-catering cottages in a peaceful village, hidden among peaks and just 20min from the coast. Excellent hiking, birding and wildflowers. Beautiful beaches and superb landscapes. Camino de Santiago “del Norte”. Delicious regional cuisine and traditional festivities with local colour. Easily accessible, low cost flights available.